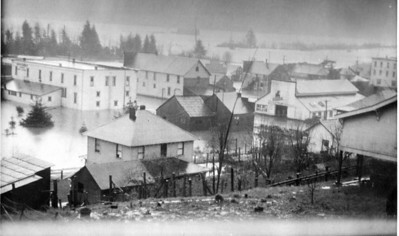 The flood of January 1934 covered the town of Nehalem. 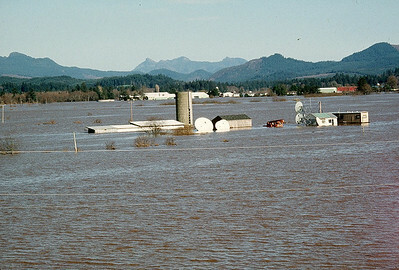 One old timer said he had never seen flood water so high. 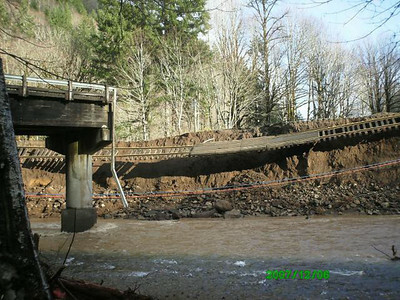 The storm of December 2007 washed out many sections of railroad and the bridge crossing the mouth of the Salmonberry River. This time damage to the rails cost too much to repair. Commissioners of the Port of Tillamook Bay decided to cease rail service. 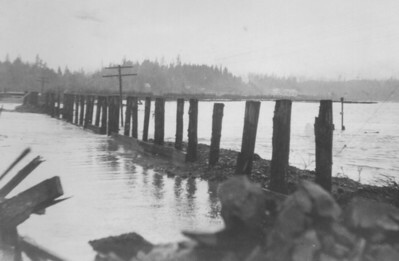 Water from the 1934 flood washed out the dike road between Nehalem and Wheeler. 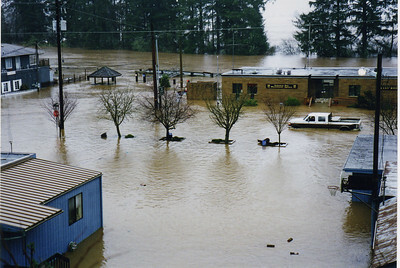 The truck is on the road in front of the Wastewater agency in Nehalem in February, 1996. 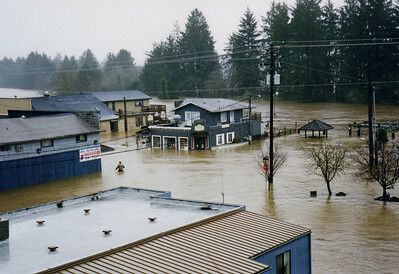 Flooding after the windstorm of December 2007 again covered the valley. 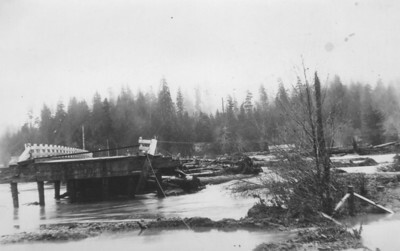 The 1934 flood also took out the Mohler bridge. 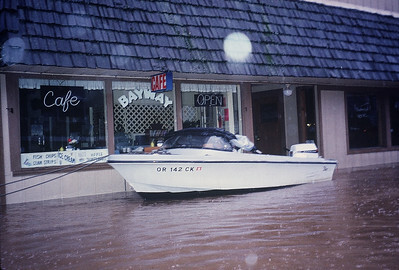 Out for coffee at the Bayway, February 1996. 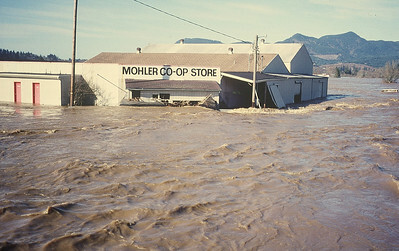 The flood of February 1996 covered the valley surrounding the Mohler store. 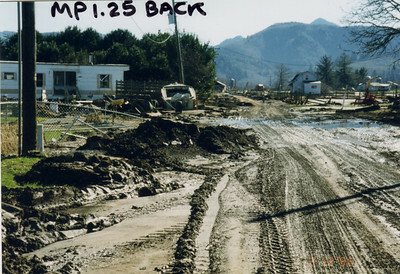 Tideland Road in February 1996 after the flood. 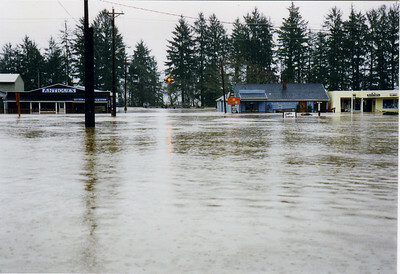 The Highway 101 corner in Nehalem, February 1996. This photo taken from a canoe in the water from the corner near the lumberyard on the highway. 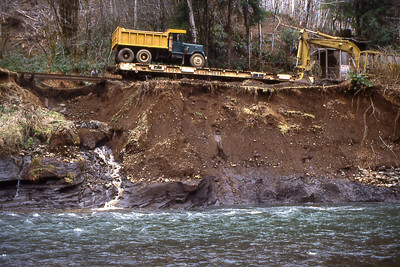 The 1996 flood damaged many portions of track, but the railroad was operating again within a few months.